Now here’s a situation you don’t hear about every day. 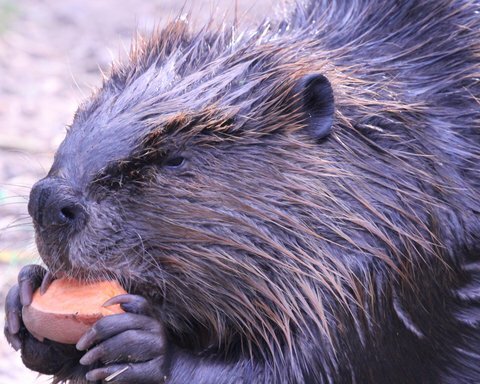 An irate beaver in the Latvian city of Daugavpils attacked a man walking home late at night and essentially held him hostage. This story comes out of Latvian Public Broadcasting, who spoke with a reporter from a local newspaper there, who recounted the story of how the man was at first startled by maniacal rodent. The man, identified as Sergei, said the beaver suddenly bit his leg as if it was a birch log causing him to fall over. Then as he tried to get up the beaver bit him again and stared him down as if holding him hostage. Apparently beavers can get extremely aggressive when staking out new territory in the spring. Sergei, fearing for God knows what, called emergency responders, who naturally dismissed his ridiculous story as a prank call. And why not? Usually grown men can handle a beaver. But maybe this beaver has emerged from a Stephen King novel. The story gets better. Desperate for help, Sergei phoned a friend, who rushed to his aid only to get pulled over by police, who once again did not believe this hair-brained story. In response, as any reasonable law enforcement officer might do, they gave his friend a breathalyzer test, who passed at which point the officers reluctantly followed him to the scene where they freed poor old Sergei from the grips of that terrifying beaver. Sergei ended up with 15 stitches, while the beaver is still at large.